Brandman University created a custom partnership with VIZIO, a Southern California-based connected entertainment platform provider, to provide accredited educational opportunities for the company's employees. Competency-based education is paving the way for the evolution of higher education ... We're excited to partner with VIZIO. Brandman University, provider of accredited educational opportunities for working adults, announced today the availability of its Marquis Partnership to VIZIO employees, resulting in additional educational and professional opportunities. VIZIO is a Southern California-based company focused on delivering the ultimate entertainment experience to consumers. 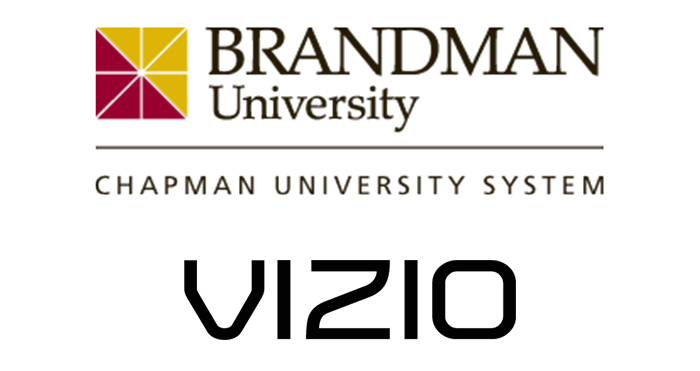 Brandman University customized its Marquis Partnership to the needs of VIZIO and its staff. The program supports professional development in the fields of business and information technology and is ideal for VIZIO employees interested in Brandman MyPath competency-based education program. Brandman MyPath provides students with the flexibility to complete their educations at their own pace and on their own schedule. Students apply previous learning, demonstrate work experience, and leverage case studies from their work at VIZIO to prove mastery. The Marquis Partnership allows full-time VIZIO employees to combine the company’s tuition assistance program with exclusive Brandman University scholarships for bachelor’s degrees. In addition, the university is offering special MBA scholarships to those who qualify, allowing employees to advance their education and careers. Brandman MyPath offers a bachelor’s degree in business administration, with multiple emphasis options, as well as one in information technology. These solutions give VIZIO employees the added flexibility to select a pathway that mirrors their professional goals. In addition to the benefits of the Marquis Partnership, all textbooks and study materials are embedded within the system along with adaptive learning elements and faculty coaches to help guide them through the curriculum. 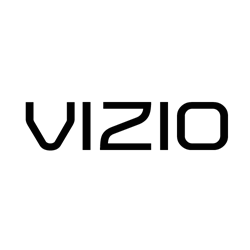 VIZIO’s mission is to deliver the ultimate entertainment experience through our community of connected consumers, advertisers, and media content providers. Through our connected entertainment platform, VIZIO is transforming the way consumers discover and experience media content. Since our founding in California in 2002, VIZIO has built an industry-leading brand and sold over 65 million products, including televisions, sound bars and other devices. VIZIO is a leading CE brand in North America with the #1 unit share in Smart TVs1 and #1 unit share in Sound Bars2. VIZIO product leadership is highlighted by a number of industry reviews and awards: the VIZIO P-Series SmartCast Home Theater Displays are the highest-ranked LED/LCD display on CNET in 2016, having received an editors’ rating of 4.5/5 stars3; the VIZIO Reference Series achieved a 2016 Editors’ Choice award from Reviewed.com4; and the VIZIO D-Seriesearned a 2016 Editor’s Choice award from PC Magazine5. For more information, please call 888-VIZIOCE or visit http://www.VIZIO.com.